HP has entered the slate tablet space (yet again, since they already have the HP Slate 500 running Windows 7) with the TouchPad tablet running webOS. From a distance, the TouchPad might look like an Apple iPad. 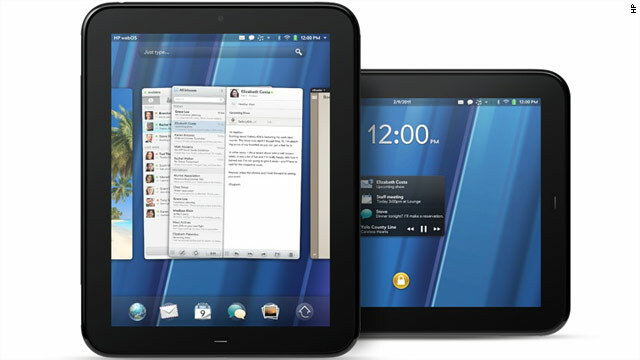 However, this slate device runs webOS (and the name "Palm" has been effectively removed from all webOS products). It's dual-core processor will provide a faster experience than the current iPad and webOS is built for true multi-tasking. Plus, the HP TouchPad will display Adobe Flash. You'll have to wait until the summer to buy one of these. By then, Apple will have the iPad 2 out there. 2011 is truly the year of the "slate revolution" and I look forward to testing all these different devices. If you're not sure that you'll become an adopter, just wait. In time, I think the majority will adopt these slate devices.